Notorious B.I.G. Feat. Puff Daddy (P. Diddy) And Lil' Kim - Notorious B.I.G. Notorious B.I.G. Feat. 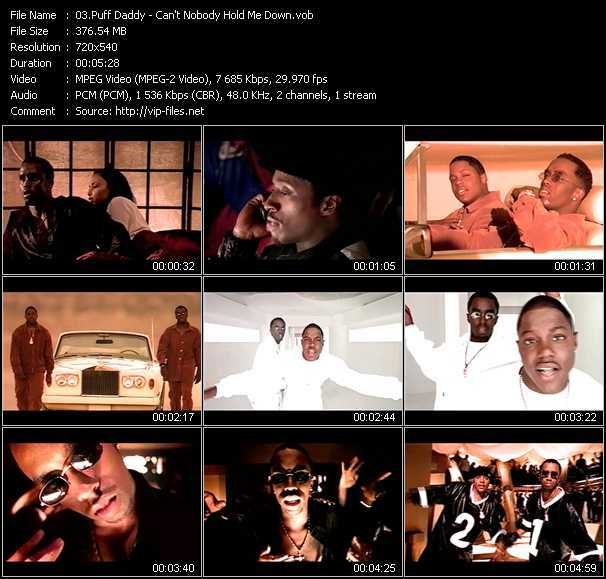 Puff Daddy (P. Diddy) And Lil' Kim music video Notorious B.I.G. Sean John Combs (born November 4, 1969), also known by his stage names Puff Daddy, Diddy, and P. Diddy, is an American rapper, record producer, actor, and entrepreneur. Combs was born in Harlem and grew up in Mount Vernon, New York. He worked as a talent director at Uptown Records before founding Bad Boy Records in 1993. He signed The Notorious B.I.G. and profited from the success of the artists he signed. He released his debut album No Way Out in 1997, which has been certified seven times platinum and was followed by successful albums such as Forever (1999), The Saga Continues... (2001) and Press Play (2006). In 2009 Combs formed the musical group Diddy – Dirty Money and released the critically well-reviewed and commercially successful album Last Train to Paris (2009). Combs has won three Grammy Awards and two MTV Video Music Awards, and is the producer of MTV's Making the Band. His non-music business ventures include the clothing lines Sean John and "Sean by Sean Combs" – for which he earned a Council of Fashion Designers of America award – a movie production company, and two restaurants. In 2014 Forbes estimated Combs' net worth at $700 million, making him the richest figure in hip hop at the time.